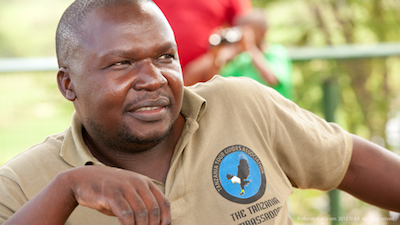 Seif Mkuti is Member of the Tanzania Tour Guides Association. He was born on April 28th 1967 at Newala, which is one of the five districts of the Mtwara Region of Tanzania. It is bordered to the west by the Masasi District, to the east by the Tandahimba District, to the south by the Ruvuma River and Mozambique, and to the north by the Tandahimba and Masasi Districts. He belongs to the Makonde Tribe, famous for carving household objects, masks and human figures. This art is called "Makonde Carving" and, after the 1930s, it has become part of the Contemporary Art of Africa. Seif Mkuti has been working for more than 20 years with tourists and for one of the most important Tour Operator in Arusha. He has a Certificate in Wildlife and Culture Tourism. Actually he is also a Private Tour Guide, and trainer for new Guides in Tanzania. He has an accepted experience in Safaris and walking Safaris. He speaks Swahili, Kiswahili, Makonde, English and Italian. 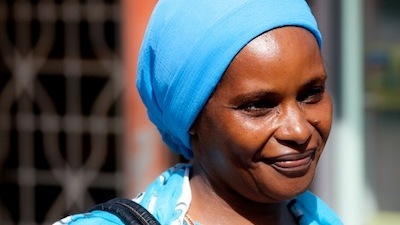 Seif Mkuti has a wife and 3 daughters, actually studying in Arusha.